Over 600 pupils have been sent away for failing to pay user fees at Kalilwe Primary School in Mumbwa, Central province. The pupils, who are in Grades 5 to 7, have been barred from writing their end of term tests, contrary to government’s policy of free education at primary level. School Headteacher, Patricia Silenge has confirmed to ZANIS that only Grades 1 to 4, were allowed to write end of term one tests. She has explained that the Parents Teachers Association (PTA) at the school agreed to this decision because all pupils were expected to pay K50 for buying paper to prepare for the tests. And Mumbwa District Commissioner Felix Ndopu claimed the school administration was sabotaging government policy. 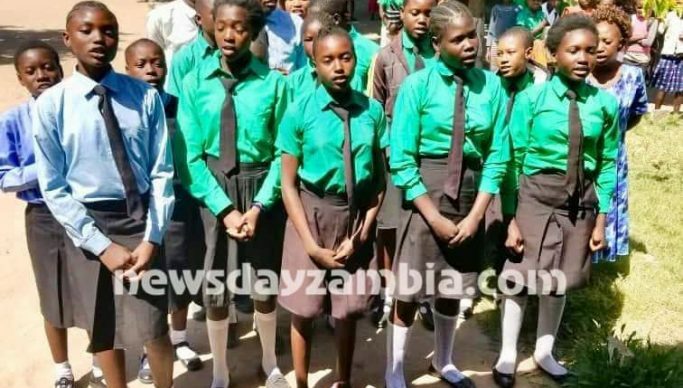 Ndopu however said he will not tolerate civil servants, who are frustrating government policy and inhuman treatment of innocent children, especially that the district recorded poor results for all examination grades last year.